EQ8 has a brand new and more intuitive look, and some new and improved tools. 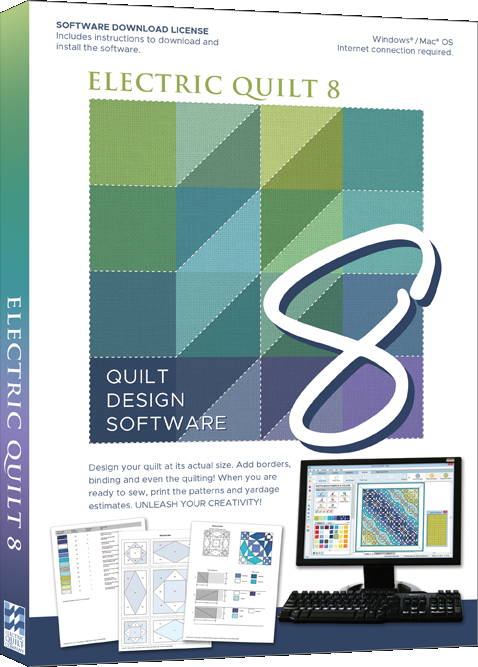 EQ8 is a computer based application with which you can preview, color, and even design and resize your quilt. It will calculate yardage, add the ¼ inch seam allowance, and create templates, rotary cutting instructions, or foundation piecing patterns. If you use or own EQ7, you will be impressed with the upgraded EQ8. EQ8 is available at Capital Quilts. Drop by Capital Quilts, or call (301) 527-0598, to reserve or order a copy. EQ8 works with both Windows and Mac.